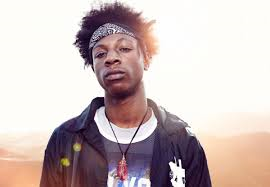 Born January 20th 1995 in Brooklyn, New York Jo-Vaughn Virginie Scott better known by his stage name Joey Bada$$ is an American rapper and hip hop artist. He first came on to the music scene in 2010 and is a co-founder of the popular hip hop collective Pro Era. He has cultivated a large group of very loyal fans and followers including over 545 thousand likes on his Facebook page, over 555 thousand followers on his Twitter feed, and his music videos have been viewed millions of times online, including the video for his hit track “Christ Conscious” which has individually racked up over 14 million views on YouTube. He has worked with and performed along very many talented and respected artists on the rap industry including Pro Era, MF Doom, ASAP Rocky, Ab-Soul, Big K.R.I.T., Smoke DZA, Mac Miller, Juicy J, Statik Selektah, DJ Premier, Flatbush Zombies, The Underachievers, Black Thought, and very many more. In January of 2016 it was announced that he would be one of the acts performing at the very popular music festival Coachella 2016. Joey Bada$$ has released one full length studio album since breaking into the rap scene. His debut album “B4.DA.$$” had very much success amongst fans and critics alike as it reached #1 on the US Independent and US Top R&B / Hip Hop Album Charts, #3 on the US Tastemaker and UK R&B Album Charts, #5 on the US Billboard Top 200, #8 on the Canadian Album Chart, # 11 on the New Zealand Album Chart, and #17 on the Australian Album Chart. He has quickly thrust himself into the spotlight of the industry, as he has become a force to be reckoned with in the rap game. Joey Bada$$ is an artist to watch out for in the very near future, as he popularity and fan base continue to grow larger by the day.